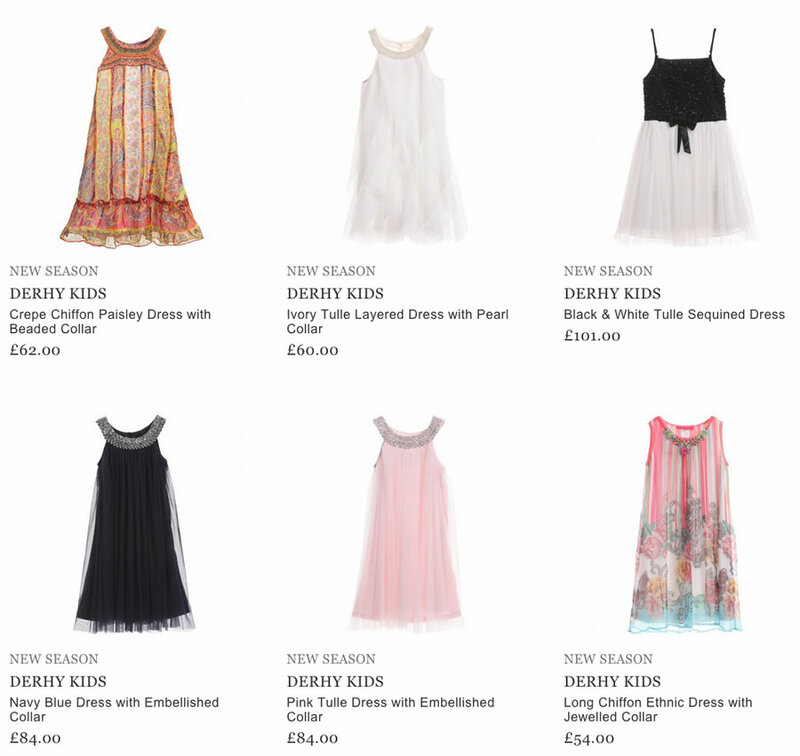 DERHY KIDS is a well-known French brand of girlish clothes that was created firstly under the name Renderthy Junior. Thanks to the creativity of Rene Derhy, the Parisian famous designer, the line was different from other similar popular brands. But the real success of DERHY KIDS came in 2000 when the brand came as a new colorful breath to the world of fashion. Till now customers appreciate its products for the mix of high quality and unique style. The collections are manufactured especially for girls aged 4 to 16 years. The designer’s main aim is to use natural material in tailoring his items; among the most used ones are 100% cotton, tulle, chiffon and lace. Using exclusive patterns and trendy elements, as pearl and jeweled collar, butterfly and flowery prints, shimmering bows etc. – make the appearance of a girl gentle and feminine. An important thing of each collection is to allow both for small and teen girls to express themselves and their own style. Rene Derhy tries to satisfy the tastes of its fans and to create dresses of their dreams. DERHY KIDS guarantees to its customers clothing of high quality. Nowadays the products of DERHY KIDS are available to be purchased online.